It's Sunday and I have another post! 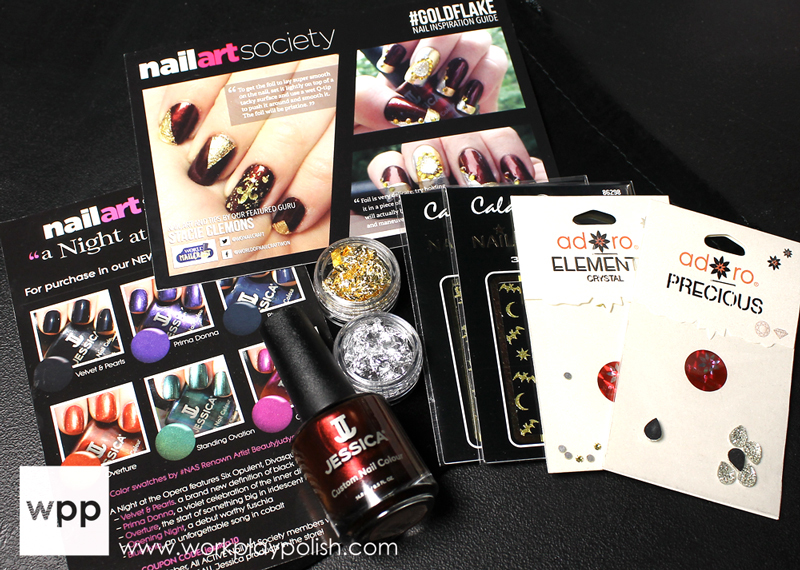 Today I have a fun look created entirely with the contents of the latest Nail Art Society (NAS) kit. Subscribers should be receiving their kits any day (if you haven't already!) If you're not familiar with NAS, it's a monthly subscription beauty "box" that delivers everything you need to create on-trend nail art for only $11.95/month + shipping. They recently underwent a complete revamp. So if you subscribed before and weren't completely satisfied, it's definitely worth it to check them out again. UPDATE: NAS is out of business. I calculated the retail value (MSRP) at around $30. But we're all bargain hunters, right? So if you shopped around and bought from multiple retailers, you could maybe get everything for about $18 (keep in mind you'd also be paying multiple shipping charges!). That's a pretty awesome return on your investment. Plus, you get the benefit of a curated box with how-to's and tips. Personally, I wouldn't have bought a few of the items in this kit. But that's what makes it fun...because I was pleasantly surprised and discovered a new brand in the process! This is my very first experience with Jessica polish. Here's a swatch of Cinnamon Kiss. The formula was nice and the color is vampy and rich with a lot of depth. My swatch is two coats plus G&G HK Girl topcoat. On my ring finger, I individually placed the Adoro Elements Crystals. The middle finger has a Cala fleur-de-lis. 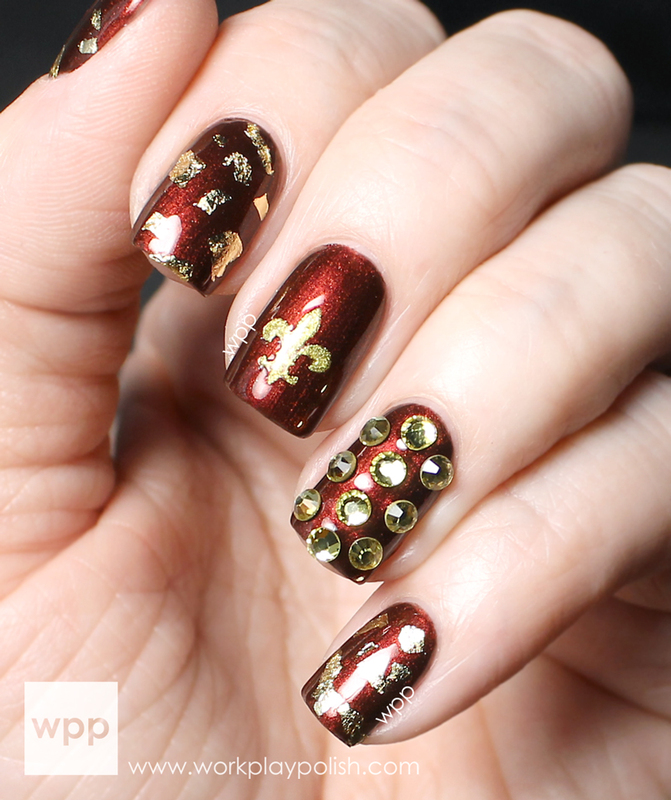 I used the gold foil, breaking it up into tiny bits, on the rest of the fingers. It almost has a leopard print feel to it...which I love.